These are the instructions to send multiple pictures and videos in one go through Gmail on any Android Device. Requirements: You must have ES File Explorer (any file explorer with share option) and Gmail Application on your Android Device to send multiple pictures or any other file in one go. Step 1: Download and install Gmail Application on your Android Device. 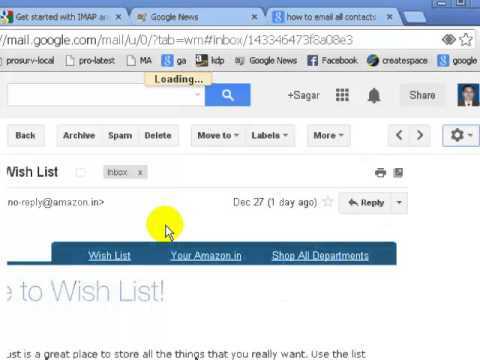 If Gmail Application is already installed on your Device then ignore this step. Step 2: Download and install ES File Explorer Application on your Android Device. Once ES File Explorer is installed successfully, Open It. Step 3: Once ES File Explorer is launched, Locate and select Multiple Pictures or any file that you want to send through Gmail in one Go then Tap on the More Button. Step 4: From the More menu Tap on the Share Button. Step 5: Now, it will open the Sharing Options. Select Gmail from the List. Step 6: Now, it will automatically add all the selected images in the Gmail Application. Simply, Add the Recipient Email Address and Press on the Send Button.